Auto Ship & Earn + 137 Points What's this? Remember you mom lecturing you about cleaning your ears? If you have a pet, it's your turn to be the mom. Keep your dog or cat's ears as clean as a whistle with Ear Clean Gold for Pets from Pet Wellbeing. 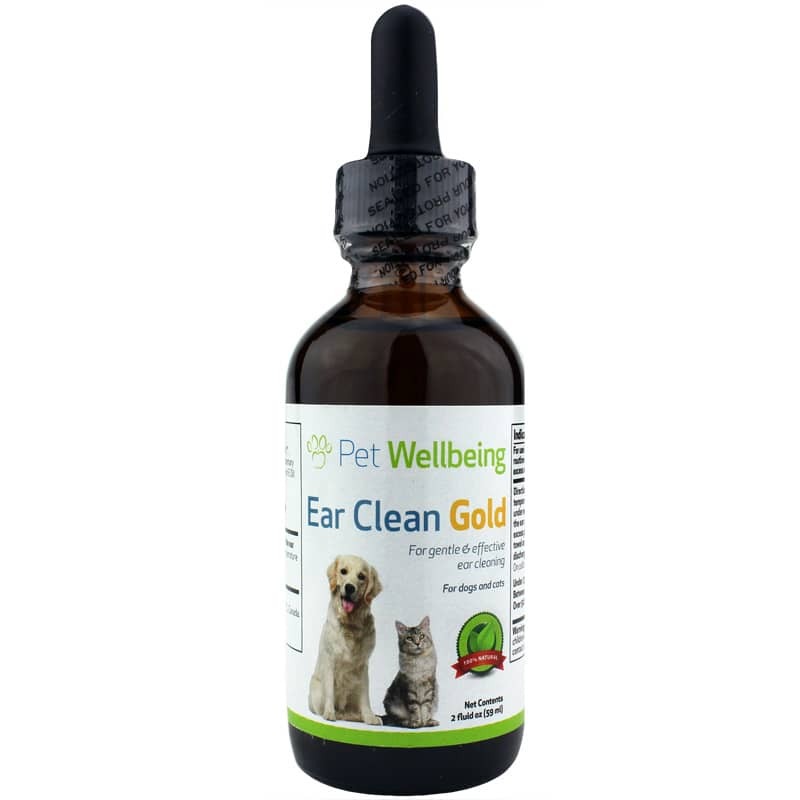 Ear Clean Gold is a 100-percent natural, topical, infused herbal oil designed to provide effective yet gentle ear cleaning for both cats and dogs. 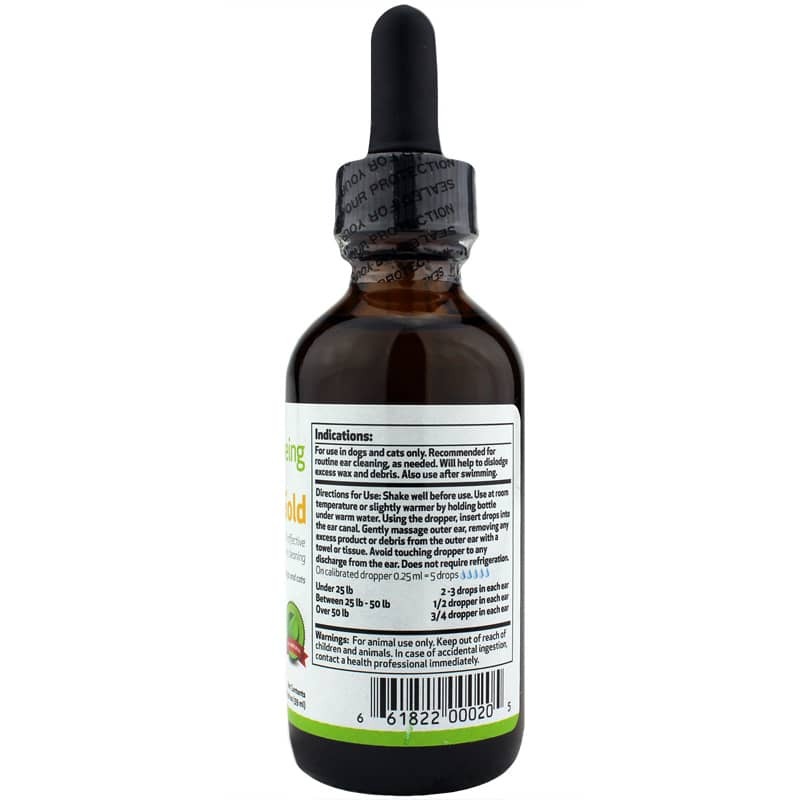 With natural herbs like soothing calendula and antibacterial rosemary in a base of MCT (medium chain triglyceride) oil, Ear Clean Gold not only helps clean your pet's ears, but also supports healthy skin. 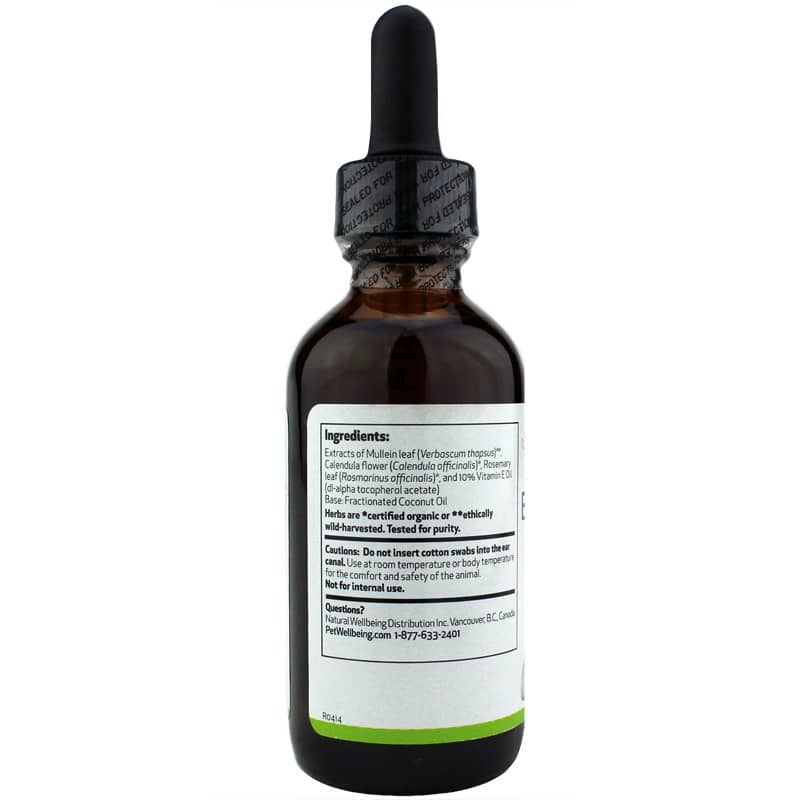 This fractionated coconut oil naturally nourishes the layers of the skin and also helps to support its protective barrier to keep your dog or cat from developing ear problems. Ear Clean Gold is made using certified organic and ethically harvested herbs that are carefully preserved to ensure optimal potency. And for ultimate assurance, each batch of Derma Support Gold is tested from quality, so you know you're getting a great product for your pet. Make your mother proud and be a good pet mom. Order Ear Clean Gold. Shake well before use. Use at room temperature or slightly warmer by holding bottle under warm water. Using the dropper, insert drops into the ear canal. Gently massage outer ear, removing any excess product or debris from the outer ear with a towel or tissue. Avoid touching dropper to any discharge from the ear. Ear Clean Gold does not require refrigeration. For ear mites, treat every three days for a period of six to eight weeks. Not for internal use. Do not insert cotton swabs into the ear canal. Use at room temperature or body temperature for the comfort and safety of the animal. For animal use only. Keep out of reach of children and animals. In case of accidental ingestion, contact a health professional immediately.